This is the spot where two great rivers converge- the Mississippi on the left and the Missouri on the right. This location – the Edward “Ted” and Pat Jones-Confluence Point State Park – is now well submerged as intense storms batter the midwest of the United States. This gigantic river system is not doing well, getting a grade of D+ from America’s Watershed Initiative report card. Don’t even think about skinny dipping here! First day of winter and I am ready for a nature swim – I suspect I would not be the first to take the waters while wearing my birthday suit. Meet me at this little lake in Eureka Springs Arkansas at the Summer Solstice. First snow fall of the season and I took the opportunity to cruise in downtown St. Louis. This old freight depot is destined for the wrecking ball to be replaced by a monster-size publicly-funded football stadium. Scheduled to cost close to a billion dollars — guess there are no more pressing issues in the St. Louis Metro area. The Ozark National Scenic Riverways is prime leaf-peeping country and like any photographer — who can resist the lure of Fall color everywhere. Apparently, not me. Upon seeing Big Spring, which releases an average daily flow of 286 million gallons of water into the Current River near Van Buren, Missouri, I chose to accent the color of the water. This was done by setting the white balance on the camera to “tungsten” which adds the monochromatic blue cast to the background and emphasizes the H2O. A slow shutter speed on a tripod mounted Nikon D90 shows the powerful motion of the water. I drew attention to the foreground by using an a Nikkor 10-24mm wide angle lens and retained the natural color of the moss-covered rocks by using an off-camera SB600 speedlight with an 81B gel (what photographers now call CTO “color temperature orange”) to match the exisiting white balance/color temperature. Really not a surprise, cold dry air and moist ground = fog. Actually, it is more complicated — but you had to be up at six to capture it. 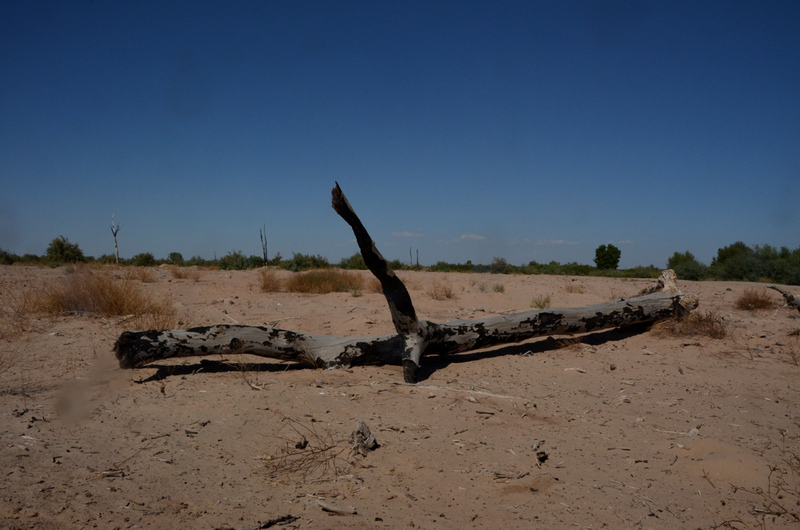 While traveling through Arizona Paul noted that the Colorado River is fickle – at least when it comes to flowing through Yuma and then (not flowing) into Mexico. 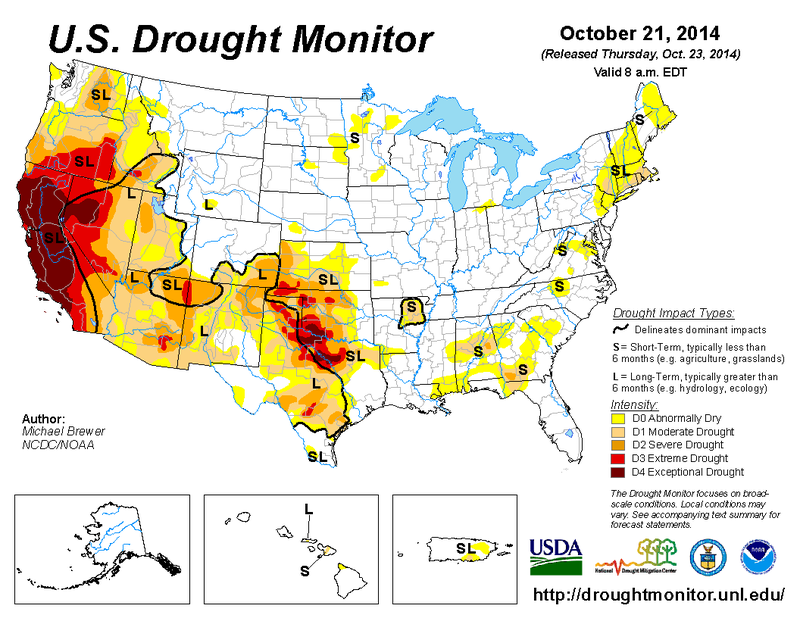 And I saw the USDA drought map. Good combo for ‘third effect” but not so good for our planet and anything on it that needs moisture.